Jared C. Tilton/Getty ImagesLipscomb was a mystery to some when they faced off against North Carolina in the first round of March Madness. North Carolina fans were unsure what to think as the start of their game against Lipscomb was tighter than expected. Fans frantically wondered “Where is Lipscomb?” before the Tar Heels regained control of the game late in the first half. The Lipscomb Bisons are from Nashville, Tennessee, and made the tournament after winning the Atlantic Sun Conference. As No. 15 Lipscomb played No. 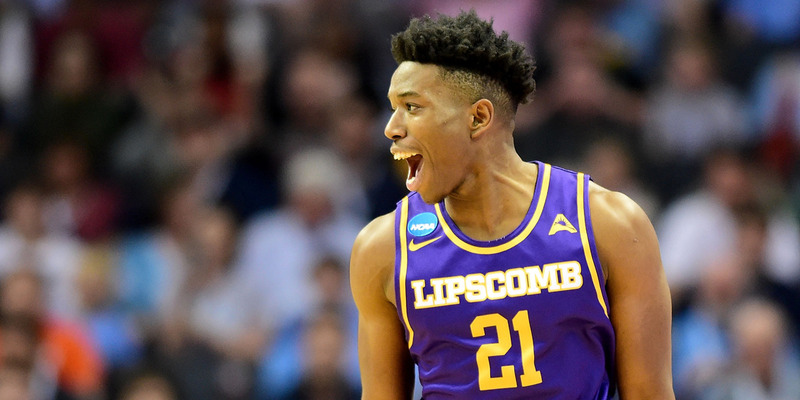 2 North Carolina to virtually a standstill through the first half of their opening game of the NCAA Tournament, Tar Heels fans had one lingering question on their minds – Where is Lipscomb? March Madness: That time of year when you have to Google where and what @lipscomb is. Answer: Lipscomb is in Nashville, Tennessee. The school entered the game against the Tar Heels as 20-point underdogs, so it was a shock to see the game so tight for the early goings of the game. But North Carolina ended the first half on a 12-1 run to pull away a bit, assuaging much of the fear of the Tar Heel faithful.